Sensible and lonely, Olivia Mather survives by her wits-and her strict policy of avoiding trouble. But when she realizes that the Duke of Marwick might hold the secrets of her family's past, she does the unthinkable, infiltrating his household as a maid. She'll clean his study and rifle through his papers looking for information. Alastair de Grey has a single reason to live: vengeance. More beautiful than Lucifer, twice as feared, and thrice as cunning, he'll use any weapon to punish those who fooled and betrayed him-even an impertinent maid who doesn't know her place. But the more fascinated he becomes with the uppity redhead, the more dangerous his carefully designed plot becomes. For the one contingency he forgot to plan for was falling in love . . . and he cannot survive being fooled again. 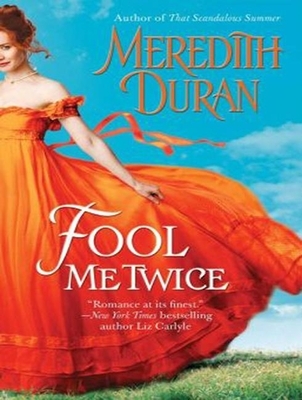 Historical romance author Meredith Duran blames Anne Boleyn for sparking her lifelong obsession with British history. A doctoral student in anthropology, she spends her free time collecting old etiquette manuals, guidebooks to nineteenth-century London, and travelogues by intrepid Victorian women. An "AudioFile" Earphones Award winner, Alison Larkin is a classically trained actress who has appeared on Broadway with the Royal National Theater and Off-Broadway with the Royal Shakespeare Company. Her bestselling novel "The English American" made the top ten list of best author audiobook narrations of all time.